Pre-written clinical email templates, scannable coupons, auto-responders and personalization put you in control of your email marketing. 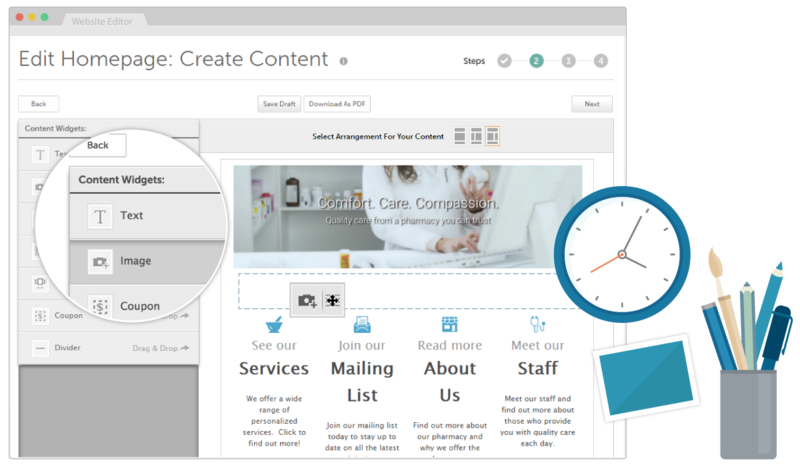 Manage all your social media accounts in one place and save time by with ready-to-post clinical content, graphics, and stock images. 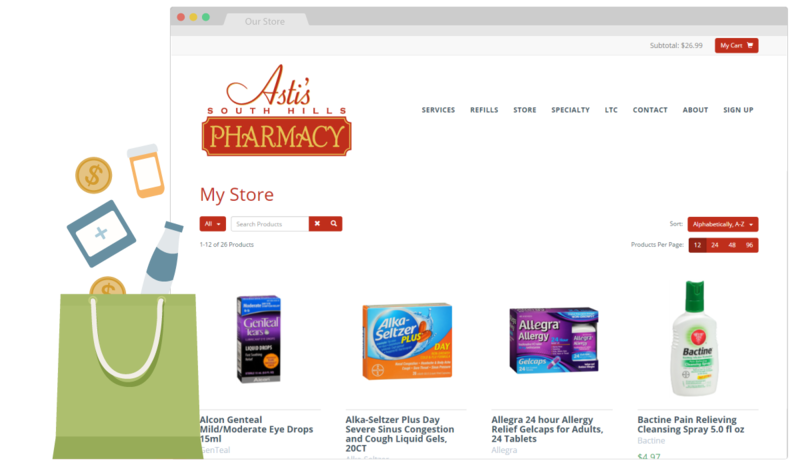 Fully responsive, pharmacy branded websites allow you to design pages and schedule updates all while customizing SEO to attract new patients to your pharmacy. Sell through emails with Paypal or create a fully functional e-commerce store with SnapRx and Shopify. An e-commerce solution is just a click away. We are not just another portal; we give you a comprehensive view of your marketing plan that includes emails, social posts, website updates, and pharmacy events. 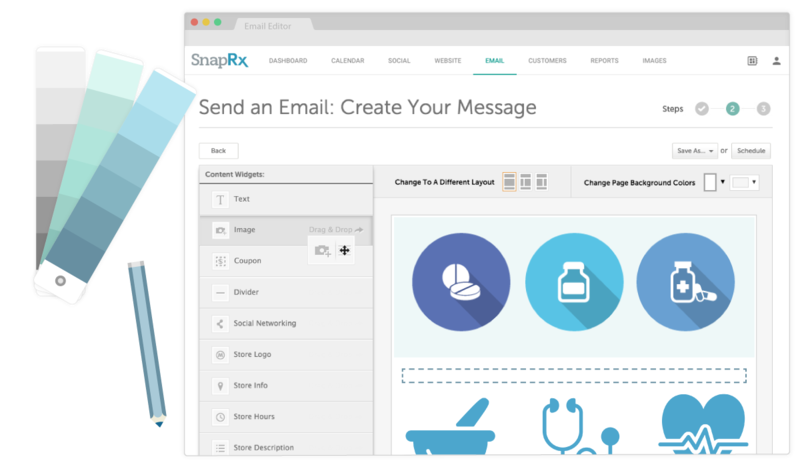 SnapRx makes it easy to create a unified marketing plan so you can focus on running your pharmacy. 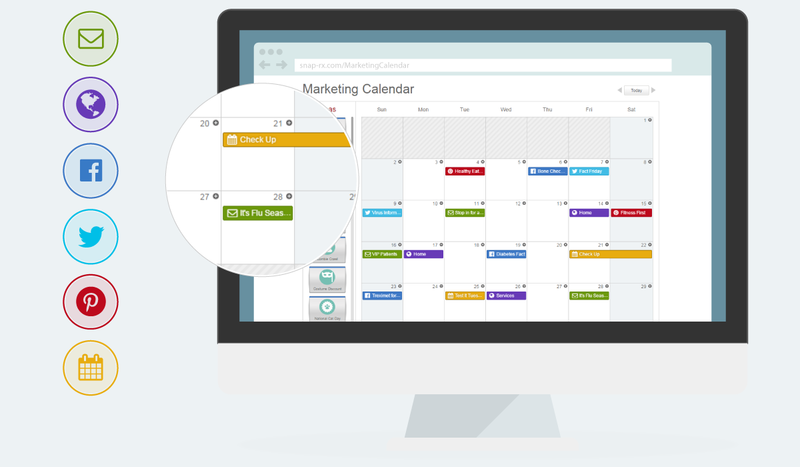 If your plans change, just simply drag-and-drop to reschedule from our marketing calendar. Smart email marketing is all about sending the right message at the right time. SnapRx’s drag-and-drop editor, e-commerce, auto-responders, and personalization capabilities make it easy for you to drive more front-end sales and engage your pharmacy patients where they are checking daily. Pharmacy branded websites and over 300 different look-and-feel combinations make creating a fully responsive website for your pharmacy easy. With scheduled updates, your site will always be up-to-date and align with your email and social marketing efforts. Grow your bottom line and sell front-end products on your website or in emails even if you don’t have room to stock them through Shopify and PayPal integrations. Give your patients the option to pick up in store or ship directly to their home.